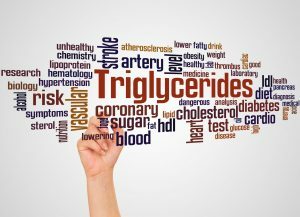 Can triglycerides affect your diabetes health? Knowing your numbers is more important to your health than ever. And when I say numbers, I don’t mean your age or waist size. The numbers you should always be aware of are your lab numbers. These labs include cholesterol, blood pressure, blood glucose levels, and triglycerides. This is because these numbers help your doctor assess your risk of chronic diseases like heart disease and diabetes. Also, a recent study shows that high triglycerides can make it hard for those with type 2 diabetes to control their blood glucose levels. 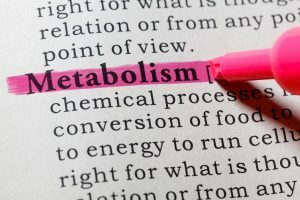 Therefore, let’s talk about these blood fats and how you can keep them in control to improve your health. Triglycerides, also known as blood fats, are a marker for heart disease. High levels of blood fats are linked with heart disease, diabetes, and fatty liver disease. Research shows that independent of total cholesterol and other cholesterol lab values, blood fat values can predict heart disease risk. Therefore, you should do what you can to lower your blood fats. This can help you lower your risk of heart disease and related chronic conditions. Experts suggest that you should try to keep your blood fat levels below 150 mg/dL for optimal health. A high blood fat level is found if your lab values are 200 mg/dL or above. It’s important to check your blood fats levels at least each year so you can stay on top of staying heart healthy. Not only can blood fats increase risk of heart disease, but they can also increase risk of diabetes-related health issues. 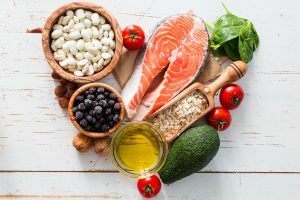 A recent study looked at a large group of people with type 2 diabetes and the impact of blood fats on blood glucose control. Study results show that high blood fat levels were linked with high HgA1C levels. Therefore, this finding suggests that high blood fat levels could work as a marker for poor blood glucose control. So, it’s important for everyone to work on keeping blood fats in normal range. And it’s especially important for those with type 2 diabetes to do so. Prevention is the best medicine. Therefore, let’s talk about ways you can keep your blood fats in a healthy range. This way you can lower your risk of not only heart disease, but also other health issues if you have diabetes. 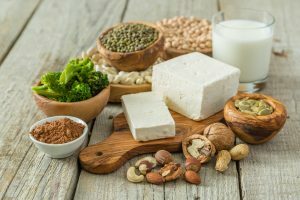 Lower your saturated fat intake: Although fats from whole fat dairy sources and red meats are not all bad for you, they can impact blood fats. Therefore, try to limit your intake of such foods to a few times a week. Also, try to focus mostly on healthier fat options for most meals. 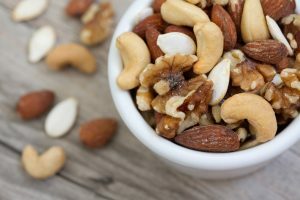 Eat more healthy fats: Eating more healthy fats like those from plant-based food sources can be good for blood fat health. Healthy fats come from foods like avocados, nuts, seeds, and fatty fish like salmon and trout that are high in omega-3 fatty acids. 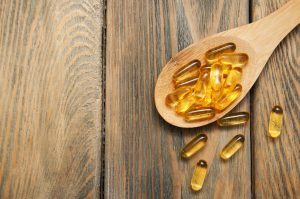 These types of fatty acids help keep inflammation at bay and in turn lower chronic disease risk. Consume plenty of fiber: You may know that fruits and vegetables are good for you. However, the reason for this recommendation may not be clear. The fiber from such foods as well as the fiber from whole grains like oats, quinoa, and whole-wheat are good for your heart. Not only that, but these foods also help lower inflammation and in turn chronic disease risk in the body. 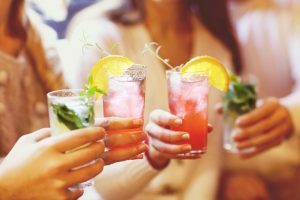 Limit alcohol intake: Not only is alcohol low in nutritional value, but it can also harm those at risk for high blood fats. Therefore, keep your alcohol intake to the recommended level. This level is one standard drink a day for women or two standard drinks maximum a day for men. One standard drink is equal to about 12 ounces of beer, 5 ounces of wine, or 1.5 ounces of hard liquor. 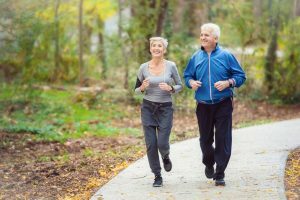 Stay active: It’s vital to stay active to lower chronic disease risk. Therefore, try to stay active with moderate exercise at least 30 minutes a day for about 5 days a week. Walking, dancing, water aerobics, and biking all count towards this. And you can break it up into smaller segments throughout the day. The total minutes per week is all that matters when it comes to your health. Take medicines when necessary: If your blood fats are too high, you may have to take medicines to keep them lower. This medicine should be taken along with diet and exercise. If your blood fats are not too high, or are still in normal range, then you may control them without medicine. Therefore, diet and exercise may help keep your blood fats low in such cases. However, these same people may also benefit from a supplement like Alestra by Vita Sciences. Alestra helps maintain healthy cholesterol levels and promote heart health with natural compounds like plant sterols, niacin, and garlic. Visit your doctor often: It’s important to visit your doctor at least once a year to have your labs checked. 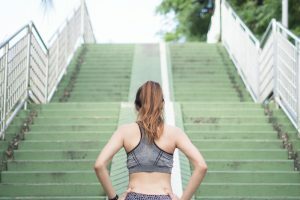 This will help you keep track of your numbers and stay on top of your health.